Down goes Frazier Cantor, down goes Frazier Cantor, down goes Frazier Cantor!!! Establishment Republicans were rocked this evening when US Rep. Eric Cantor, the Republican House Majority Leader lost to virtual unknown Dave Brat. To borrow a line from Al Michaels from the 1980 Winter Olympics in Lake Placid, NY was the USA defeated the Soviet Union, “Do you believe in Miracles … YES!!! It was thought by many in the establishment that Cantor was the next in line for the Speakership; however, “We the People” had other ideas. So much for the notion that money wins these elections, Brat trailed Cantor in fundraising, pulling in $200,000 this cycle compared to Cantor’s $2 million. “”This is a miracle from God that just happened,” exulted David Brat, a political science professor, as his victory became clear in the congressional district around Virginia capital city. So much for Eric Cantor’s internal polling that showed him ahead of David Brat by 34 points. Oops, missed it by that much. 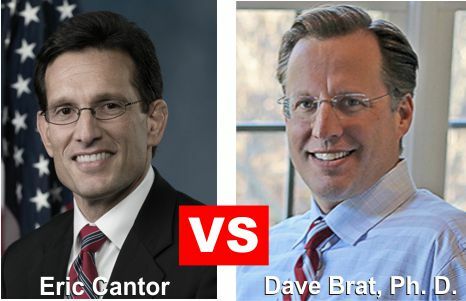 The poll, shared with Post Politics, shows Cantor with a 62 percent to 28 percent lead over Brat, an economics professor running to Cantor’s right. Eleven percent say they are undecided. The internal survey of 400 likely Republican primary voters was conducted May 27 and 28 by John McLaughlin of McLaughlin & Associates. It carries a margin of error of +/-4.9 percentage points. Cantor conceded the race around 8:25 p.m. — shortly after the Associated Press pronounced Cantor’s 13-year political career at least temporarily over. With nearly 98 percent of precincts reporting, Brat had 55 percent of the vote, while Cantor had 44 percent. People close to Cantor said internal polls showed him hovering near 60 percent in the runup to the race. It’s one of the most stunning losses in modern House politics, and completely upends the GOP hierarchy in both Virginia and Washington. Cantor enjoyed a meteoric rise that took him from chief deputy whip, to minority whip to majority leader in the span of 13 years. Cantor was seen by many as the next speaker of the House, biding his time until Ohio Rep. John Boehner wanted to retire. UPDATE I: Victory Speech … Dollars do not Vote, You Do! President Barack Obama admitted to Rep. Eric Cantor (R-VA) and other House Republicans in 2010 in a White House summit on Obamacare after being questioned about people losing their insurance that 8 to 9 million Americans would lose their healthcare plans. During his condescending comments, Obama said that government makes decisions to protect consumers with bi-partisan support. The only problem is that there was no bi-partisan support for Obamacare, it was passed with not one GOP vote in the House or Senate. The money line in the above video from Obama comes at the 2:15 mark “… because what we don’t want is a situation in which people think they are getting one thing and they’re getting something else. They’re harmed by a product.” Obama went on to say what we see is consistent abuses by the insurance companies and people helpless to deal with it. ARE YOU KIDDING ME!!! So what happens when Barack Obama does a “bait & switch” with Obamacare and the American people are helpless to deal with it? The intended consequences of Obamacare is that millions of Americans have had their insurance plans canceled and thrown off their existing health plans and are learning the harsh reality that deals in the Obamacare exchanges to be not better, but actually much, much worse. GOP House Looks To Put Delay on Obamacare Individual Mandate … Or Does Obama & Democrats Only Want to Protect Business? WHAT EVER HAPPENED TO BARACK OBAMA’S FAIRNESS TO THE PEOPLE? What’s good for the goose, should also be good for the gander. Or in this case, what the employers have been granted in a delay in the employer mandate should also be provided to individuals. Speaker John Boehner and House Republicans are looking to protect average Americans as President Barack Obama has taken the side of “big” business with regards to Obamacare. House Republicans are asking for the same one year delay for “We the People” in the individual Obamacare mandate as Obama has granted to employers. Of course the fact that Barack Obama is not allowed to just arbitrarily extend one part of a law and not the whole thing is another issue. Speaker John A. Boehner stated, “Is it fair for the president of the United States to give American businesses an exemption from his health care law’s mandates without giving the same exemption to the rest of America? Hell no, it’s not fair.” Polls show that Americans overwhelming are for a delay in the “individual mandate” … so will Obama only benefit business and not the people? Boehner & Cantor discuss the unfairness of Obama in benefiting business, but not individuals. House Republican leaders on Tuesday seized on the Obama administration’s one-year delay of a mandate for larger employers to offer health insurance or face penalties, demanding the same postponement for the mandate on individual insurance purchases and promising a series of showdowns aimed at dividing Democrats from the White House. Even some Democrats are livid at Barack Obama for being one-sided in their protection against the train wreck known as Obamacare. As reported at the Weekly Standard, Democratic senator Tom Harkin, who’s retiring at the end of this term, had some blunt words for the Obama administration over the recent change to Obamacare … “This was the law. How can they change the law?” Good question, he can’t. Barack Obama and the Democrats have been put into a box … Do Democrats side with the unpopular Obama legislation from a lame duck president or “We the People”. How peeved do they want to make the voters? Following President Barack Obama’s last second rescue of Attorney General Eric Holder and invoking Executive Privilege in the Fast and Furious scandal, the US House Oversight and Government Reform Committee recommended that Holder be cited for contempt of Congress. The vote was along party lines, 23 to 17. Committee chairman Rep. Darrell Issa (R-CA) went forth with the measure, saying the White House assertion of executive privilege “falls short” of any reason to delay the hearing. Voting on strictly partisan lines, a House committee recommended Wednesday that Attorney General Eric Holder be cited for contempt of Congress for failing to turn over documents relating to the botched Fast and Furious weapons sting operation. The committee measure now goes to the full House for consideration, expected next week, of what would be an unprecedented event — Congress holding a sitting attorney general in contempt. Mere minutes after the House Oversight and Government Reform Committee’s decision, House Speaker John Boehner (R-OH) and Majority Leader Eric Cantor (R-VA.) announced that the full House will vote on the contempt measure next week. If this vote goes forward, it will be interesting to see what Democrats Representatives do who are in “swing” and “battleground” states. Just how many US Representatives are going to appear to the voters as being for withholding documents against the family of slain border agent Brian Terry? The family of murdered Brian Terry has stated that Barack Obama has made matters worse by invoking “executive privilege”. House Majority Leader Eric Cantor (R-Va.) slipped Minority Leader Nancy Pelosi (D-CA) a note in study hall asking if she would be his date to the State of the Union address. 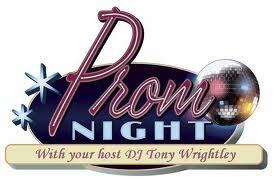 However, the former House Speaker said no and stated she’s already had a date. It was true heartache for Eric Cantor being rejected by little Nancy. The invitation from Cantor was made Monday evening through staffers for the two leaders, spokesman Brad Dayspring said. The pairing would have been among the more high-profile for an event that has in recent days been compared to a school dance, as lawmakers scurry to find cross-party seatmates for the president’s annual address. Instead of the traditional party-line seating arrangement, dozens of members have planned to sit with lawmakers from the other party as a symbol of renewed civility. BTW, no Weasel Zippers you are not the only one that finds the “date night” SOTU a total irritating bunch of BS. It is not important are mean anything who you symbolically sit next to an a faux image of unity … IT MATTERS WHAT ONE STANDS FOR NOT WH YOU SIT NEXT TO!! !